As acute shortages of nursing assistants and other health care professionals continue to plague nursing homes throughout the nation, disabled victims and vulnerable elderly people are left to pay. And while America’s senior population continues to grow (currently at about 48 million), nursing homes deny care to thousands of patients, victims are neglected and abused, and patient care is being compromised. Experts warn that this is only the beginning. With low wages, lack of funding and few workers willing to perform such emotionally and physically demanding work, finding employees is difficult. Therefore, many people with disabilities and aging individuals who require round the clock care will continue to suffer. Patients who are immobile often experience severe and painful bedsores, are forced to sit or lie in their own soiled clothing or bedding, and suffer from muscle atrophy. When residents are forced to go it alone, they are at a higher risk for falls that can cause serious injuries or even death. And those with dementia who are not properly monitored can wander into dangerous locations. Residents who are unable to feed themselves may suffer from malnutrition or dehydration when nobody has time to provide for their needs. 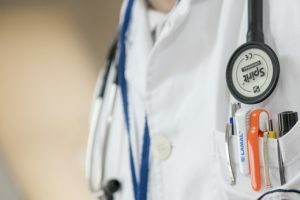 Health care professionals are often overworked or loaded down with too many patients, which leads to medication errors, unclear thinking and inadequate responses to complications, mix-ups, and irritability that can lead to emotional or physical abuse. Unnecessary restraints are often used to help control behaviors that health care staff members are too busy or too tired to deal with. In many cases, residents are sedated with powerful drugs or physically restrained against their wishes. Inadequately trained caregivers are on duty. Without sufficient training, health care employees are not qualified to react when complications arise, and may not even know how to properly attend to the residents in their care. Illinois is already ranked as among the worst in the nation for poor quality nursing homes, and staff shortages in the state only seem to make matters worse.